A spectacular fleet of twelve historic Tall Ships will arrive at the Buffalo waterfront in July. 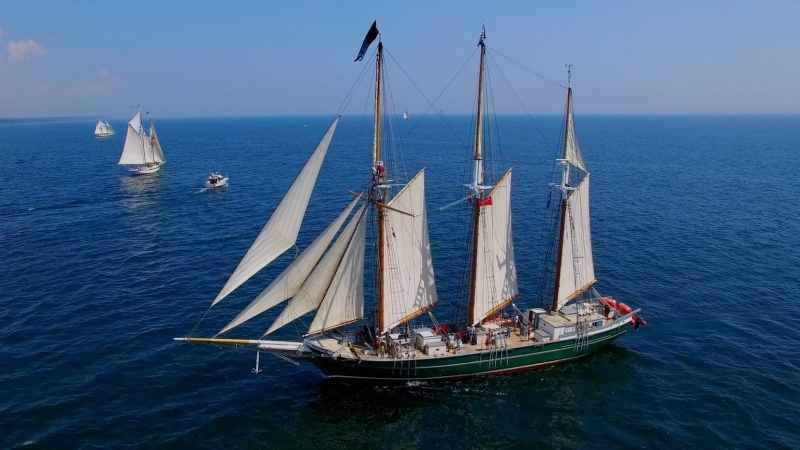 This spectacular fleet of tall ships race through the Great Lakes and will make their FIRST ever appearance in Buffalo. The Historical Society has booked a bus to provide transportation to this incredible celebration of the maritime history of the Great Lakes. Providing bus transportation eliminates worrying about parking and traffic problems. Many exciting events are planned for the weekend that include a Parade of Sails, Maritime Music, historic exhibitions, live entertainment, vendors, food and beverages. There is also a shuttle service available. We will leave on Saturday morning, July 6th from Skate Land in Franklinville to attend the event. The cost of transportation is $36 per person. Our trip is limited to 40 people so if you are interested it is important to call 716-699-2781 to make reservations. Some of the participants may be interested only in enjoying the various venues and viewing these breath-taking Tall Ships. If so then you only need to pay for the transportation. However, you will also have the opportunity to board and tour these ships. If you choose that option you will need a pass and the cost will be $20.85 more, for a "passport". You will need to purchase the passport in order to board any ships. With the passport you can board as many separate ships as possible in one day, with one boarding per ship. Only soft soled shoes are permitted for those who decide to board the ships and high heels are prohibited. We will stop for dinner on the return trip home and we try to find restaurants that are reasonable for everyone’s budget. The Society does not profit from these field trips. Our goal is to provide interesting and historic trips that are open to the public. We always have a fantastic time and our trips take into consider people who might have some difficulty with mobility.